Home » Mazda3 » Should You Get the 2018 Mazda3 Sedan or Hatchback? Should You Get the 2018 Mazda3 Sedan or Hatchback? 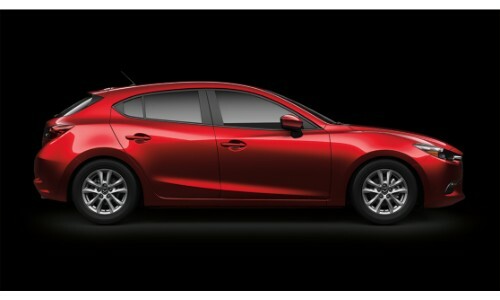 One of the most popular models in the Mazda catalog is that of the Madza3 and its current 2018 year model. However, like many compact to midsize sedans, the 2018 Mazda3 is available as a sedan build and as a hatchback build. What are the differences between these builds? If you want to buy a 2018 Mazda3 should you get a 2018 Mazda3 sedan or a 2018 Mazda3 hatchback? Primarily, the changes between the 2 models are mostly aesthetical. Both the 2018 Mazda3 sedan and hatchback have identical specs in terms of engine power, fuel tank capacity, and interior setup. However, the hatchback build of the 2018 Mazda3 does give it significantly more initial cargo capacity. Additionally, the adjustable trunk space of the hatchback gives it a maximum cargo capacity. This feature is unavailable with the 2018 Madza3 sedan that has a static cargo capacity. However, the 2018 Mazda3 hatchback does have a higher price tag when compared to the 2018 Mazda3 sedan build. Are the advantages of the 2018 Mazda3 hatchback worth a higher price tag than the 2018 Mazda3 sedan? That’s up to you! Want to find out for yourself which 2018 Mazda3 variant build is more appealing to you? Come down and visit us here at Marketplace Mazda to find out. We can give you a tour and schedule you for a test drive with any Mazda model in our inventory. Just contact us to get started! This entry was posted on Tuesday, June 26th, 2018 at 6:48 pm	and is filed under Comparisons, Mazda3. You can follow any responses to this entry through the RSS 2.0 feed. You can skip to the end and leave a response. Pinging is currently not allowed.